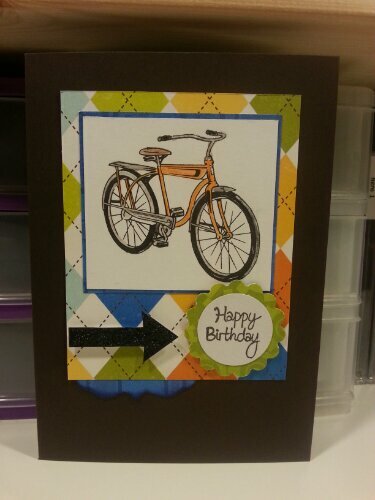 I like the clean lines of your card….perfect for masculine! The sparkly arrow is a fun accent as well! Thanks for sharing at Fab Friday! What a great card! I love the dsp and the bicycle image is so fun. Thanks for joining us at Fab Friday! 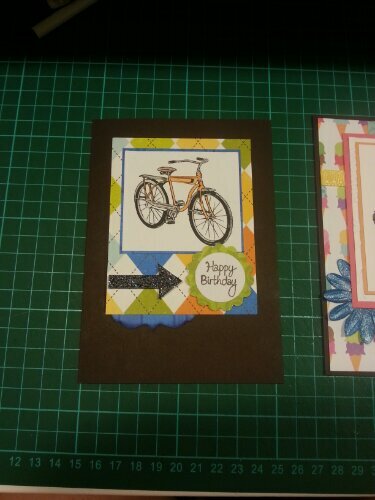 I really like the bicycle image paired with the argyle patterned paper. It is the perfect combination for a masculine birthday card! Thanks for playing at Fab Friday!